Mediaweek looked at how the year was ending for Sydney, Melbourne and Brisbane across the first three days of last week. Today we have a look at how the year has ended in the Adelaide and Perth commercial FM markets ahead of the final radio ratings survey for 2016 next week. Most of the AM breakfast shows are reporting for duty this week. The market’s #1 station Mix 102.3 celebrated the end of the Jodie and Soda breakfast show with a Henley Square outside broadcast that including an appearance from Absolutely 80s stars Dale Ryder, Brian Mannix and Scott Carne. 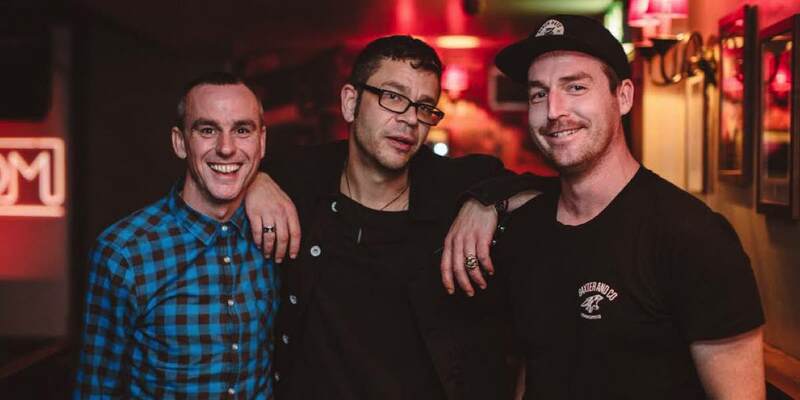 At Nova 919 the successful breakfast combo of Lewis and Lowe and their executive producer Tim Verrall has been split up. The team said their farewells on Friday with Verrall heading to Melbourne to pilot the new Nova breakfast show in that market next year. Roo and Ditts had a good year at Triple M and they continue on air with some highlights across the summer. Not quite sure how they ended the year, but Snowy Carter was on air last Thursday when we tuned in. The Cat and Amos final week of survey on hit107 peaked on the Thursday night with a Birds of Tokyo World Famous Rooftop event in Adelaide. Things then got better for Adelaide residents on a hot summer stretch with free ice cream courtesy of hit107. A few radio stations ended their year giving away big dollars. None quite as big as Fitzy and Wippa though giving away $100,000 in Sydney. The secret sound on Mix 94.5’s Clairsy and Kymba breakfast show was up to $45,000 and they actually managed to find a winner too in their final show. In survey seven, Mix was the #1 Perth station, but Nova’s Nathan, Nat and Shaun was the #1 breakfast show. Their final show of the year was from Crown where the guests included Peter Rowsthorn and Danny Green…and Nathan’s pirate hat! There was a World Famous Rooftop event in Perth for hit92.9 and the breakfast hosts Heidi, Will and Woody in the final week of survey. There was a bit of cash on offer on their last show, but a more modest $10,000 for their Christmas Quiz. 96FM made a major change earlier in the year when Ian Blackley was dropped from the lineup. Share took a hit, but Carmen and Fitzi have carried on as a breakfast duo. Danny Green also made it onto their show last Friday with a Christmas message. When you listen to Brisbane breakfast radio from out of the market you can start a little later given the daylight saving time zone. Not that late though given that the market’s #1 breakfast show, Robin Terry and Bob, at the market’s #1 station, 97.3, is one of the few FM breakfast shows to start at 5.30am local time. Longtime Nova newsreader and news director Monique Dews looks after the news at the FM station before Robin Bailey, Terry Hansen and Bob Gallagher start the 97.3 breakfast program. The chat early on today included discussions of a Shakespeare sonnet – number 116 to be exact which just happened to be what co-host Terry Hansen used as a marriage vow 25 years ago today. The breakfast show’s share is just over 13% before the final results of the year, pushing it well ahead of its rivals Nova and the perennial threat to all Brisbane breakfast broadcasters – Spencer Howson at ABC612 who enjoys a 15.5% share. The breakfast show at Nova 106.9 has had a massive year. The station remains #1 under 40, but it has been feeling the heat from hit105.3 which ranks #1 18-24. The station celebrated its 10th birthday in the first half of the year and Ash, Kip and Luttsy recorded a Mediaweek podcast telling us about their adventure walking the Kokoda track. Not long after, Ash was suspended from the station after being charged with drink driving. He returned after several months off air and the show has resumed regular transmission. Stepping up with Kip and Luttsy during his time off air was the great Susie O’Neill who together with sports guy Mitch Lewis and newsreader Ange Anderson fill out the team. Nova might have a Taylor Swift Red Room this week, but hit105 with Stav and Abby was dominated by Taylor Swift chat, music and giveaways today ahead of her Brisbane concert. Other items covered today included the Tim Tam war and the program chatted with Luke from 5SOS. Abby Coleman has had a big year as a great contributor to TEN’s hit comedy show Have You Been Paying Attention? with the station trailing Nova by less than a half a point, will the arrival of Osher Günsberg next year make it a bigger ratings threat? Triple M took a backward step in the latest survey after some good numbers following the departure earlier this year of breakfast co-host Michelle Anderson. The breakfast show has had a few names over the year, The Grill Team is gone and it’s now Marto & Ed Kavalee for breakfast. Both are great radio performers and a highlight this morning was their Greg Bird segment. Farting was also prominent today with plenty of Bindi Irwin sound effects. The King Wally Lewis was a special guest for 30 minutes toward the end of the show today. The Brisbane sports presenter admitted he had never farted during a news bulletin (he lets go before the bulletin starts!) The Lewis family helps power Brisbane radio. As we mentioned above, Mitch is part of the Nova team and his mum Jacqueline was also on air at Nova today. At 4BC the station is largely a rebroadcast of 2GB. Similarly at Magic 882 it seems to be largely a rebroadcast of Melbourne’s Magic 1278. Local content at the two stations includes Kim Mothershaw andBen Davis at 4BC and Donna Lynch at Magic. “The Summer Wind” greeted 3AW listeners this morning at 5.30am on the first day of the year’s best season. “I would have gone with The Beach Boys,” 3AW breakfast co-host Ross Stevenson told his colleague John Burns. The 3AW breakfast team is a formula that delivered owners of the licence a massive radio share to lure advertisers over the years. The first voice the audience get every day at Melbourne’s #1 station is 3AW newsreader David Armstrong before the hosts take over. The last week of survey means a little more to the FM stations where there are significant changes when the new radio ratings year returns. But more of that in a moment. The market-leading FM station started its final Tuesday breakfast show of the year with “Summer In The City” after the breakfast news from Seb Costello. “I love summer…it’s the best part of the year. Along with the footy season of course,” said Hot Breakfast host Eddie McGuire. 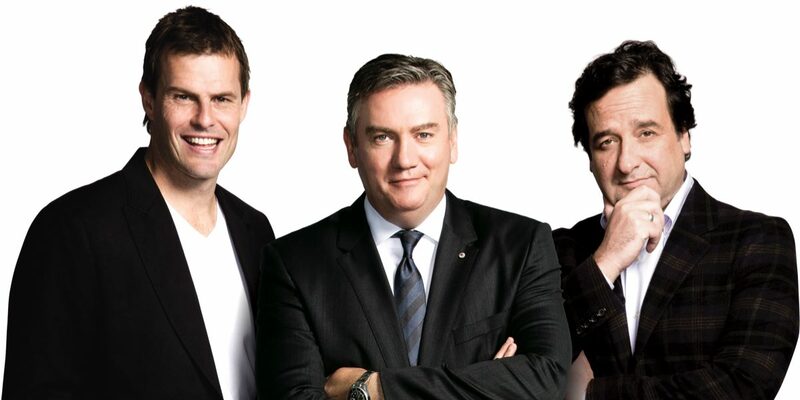 McGuire hosts the first hour of the show with Luke Darcy before ratings magnet Mick Molloy turns up after 7am daily. The Triple M show has been on the road a lot recently, broadcasting two weeks from New York and a week from Dublin in two separate trips over the past six weeks. You have to listen hard to realise they are even travelling some days as the show remains super local wherever it is. An extra bonus for listeners when the show is on the road is they get three hours of Mick Molloy. The Hot Breakfast has forged relationships with many Melbourne icons who appear regularly. One of the more important is Shane Warne, who was a guest today for 30 minutes. 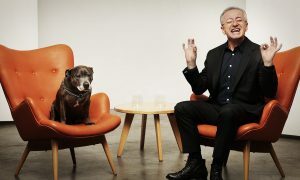 Southern Cross Austereo’s other Melbourne breakfast show, Fifi and Dave at Fox FM, has also had a good year with the station currently boasting the biggest cume audience in Australia. The two SCA stations have been under the guidance of Dave Cameron (Fox) and Mike Fitzpatrick(Triple M) and although they both have network roles too now, they keep a pretty close watch on their home market. Nova’s Meshel and Tommy show has only two days to go before Meshel moves to KIIS 101.1 andTommy leaves radio. However Nova 100 is keeping the duo on air and they even are having an end-of-year trip to Bali to give away. They also introduced a promising new segment today: “Ask a Muslim a question”, with the last appearance of Nazeem Hussain on the show. At KIIS 101.1 the on-air breakfast partnership with Matt Tilley and Jane Hall is in its last week. Next year it will be Matt and Meshel as Meshel Laurie moves networks after many years with Nova Entertainment. ARN would like this pairing to work in what will be the latest in a string of breakfast shows. One departing FM radio announcer who did step down before the end of the contract was Gold’s Brigitte Duclos who left suddenly last week. Since then ARN as revealed she is to be replaced by former Fox breakfast co-host Jo Stanley in January. Meanwhile Lehmo is co-hosting breakfast solo before his summer holiday. In AM radio, John Blackman and Jane Holmes host breakfast at Magic 1278. There will be change at 1116 SEN next year with Morning Glory ending soon with Francis Leach and The Ox looking to boost breakfast share at the sport station. 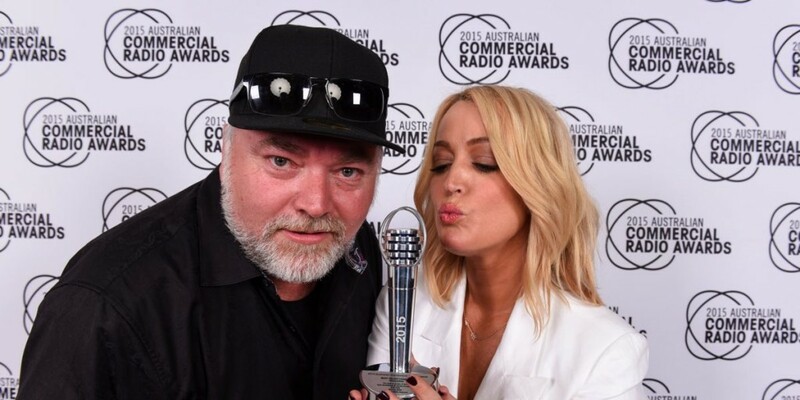 Something very unusual happened in Sydney radio last Monday morning – Kyle and Jackie O were on air, live, together, at KIIS FM 106.5 at 6am. “For those of you who think I don’t really get sick,” croaked Sandilands after a string of sick days off that culminated with both Sandilands and Jackie O off air for two days at the end of last week. “It might be Michael Douglas throat,” he added with a laugh. The ratings-winning team were back for the last week of radio ratings for 2015. Earlier in the day, the first Sydney FM station to start broadcasting a breakfast show is WSFM. Jonesy and Amanda enjoyed their summer beach party on the weekend at Bannisters on the NSW south coast on the weekend. But beating them to air are 2UE’s John Stanley and Garry Linnell with a 5am call. They tasted some ratings success this year and turned their 7am segment The Whisper into a “must listen” for many. Let’s hope they will be a part of 2UE’s 2016 relaunch. Dominating the ratings again in 2015 in Sydney was 2GB which led from start to, presumably, finish. The final radio results for survey eight will be released later this month. 2GB’s summer lineup takes over from December 14. Chris Smith will replace Alan Jones at breakfast, with Luke Grant taking over Ray Hadley‘s morning slot. Afternoons and drive will be handled by Warren Moore and then Michael McLaren. Getting the biggest promotion at the station is radio newbie Neil Breen who gets the 2GB Money News slot from 6pm until 8pm. Nova 96.9 goes into the final survey week with an improved station share of 7.2% and a TV show for Fitzy and Wippa on Network Ten. However TEN executive Paul Leadon indicated this morning on their show it was strictly a one-off and they wouldn’t be back! Last-minute ratings boosts might come from the $100,000 prize on offer and momentum from the Taylor Swift Red Room happening later this week. SCA’s Triple M dipped at breakfast in the last survey, but The Grill Team are still ahead of the station average in a year that has seen many changes on the production staff at breakfast. The biggest challenge in the Sydney market will be how Rove and Sam Frost perform in 2016. They are part-way through their settling in period and working hard to build a following. Last week they were out and about with Rove visiting the ABC Upfront, and Rove and Sam and their team at the ARIA Awards and then Taylor Swift on Saturday night.